San Diego communities get extension of solar rebates - is Northern California next? | West Coast Solar, Inc.
San Diego communities get extension of solar rebates – is Northern California next? Residents of San Diego received good news on October 24, when the California Public Utilities Commission (CPUC) agreed to extend the residential rebate program under the California Solar Initiative (CSI) for customers of San Diego Gas & Electric (SDG&E). The California Center for Sustainable Energy (CCSE), which administers the San Diego rebate program for SDG&E, reports that $5 million will be allocated for the program, representing about 25 megawatts (MW) of solar generating capacity that will be added to the grid. CSI was a state-wide program that provided rebates to customers who purchased solar panels for rooftop systems. 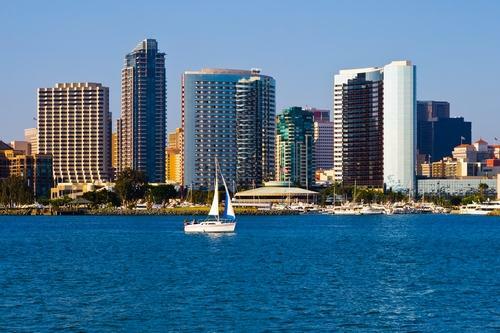 About $202 million of the program’s $2.167 billion budget was set aside for San Diego, and about two-thirds of that was allocated to non-residential solar systems. In the new arrangement, the CPUC agreed to let the CCSE shift about $5 million from nonresidential funding to household systems. “The return of CSI rebates for residential solar energy systems in the San Diego region, together with the recent passage of Assembly Bill 327, which extends California’s net energy metering program, will help ensure continued growth for the state’s thriving solar market,” CCSE Executive Director Len Hering said in a news release. It’s good news that the CPUC is being flexible about the way that solar rebate funding is allocated, and hopefully it will make similar agreements with the CSI’s administrators in Northern California. The residential rebate program under CSI has been one of the most successful public policies in promoting renewable energy in the nation. If you’re interested in finding out how solar incentives make this technology affordable for everyone, contact West Coast Solar today to speak to one of our Bay Area solar specialists.